What does PMS mean and what are the signs of PMS? Discover natural herbs for PMS symptoms and what PMS cure works. Is PMS making you want to rip someone’s head off? Try these effective treatments for premenstrual syndrome. PMS (premenstrual syndrome) is the term used to describe a huge range of symptoms, at least some of which are experienced by most women (especially those over 30) every month between ovulation and menstruation. The symptoms may be physical, emotional, or behavioral in character and are thought to be caused either by hormonal balance, or by nutritional deficiencies which can affect the hormone balance in the body. Whatever symptoms you are experiencing, there are natural remedies for PMS that you should be familiar with. 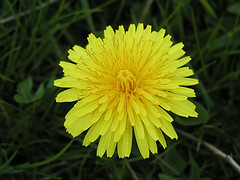 DANDELION: One of the best herbal remedies for PMS is this nutrient rich herb. It is full of vitamin A, potassium and iron. Two cups of dandelion root or leaf tea a day helps to relieve many menstrual ailments such as bloating, water retention, swollen breasts, muscle spasms, acne, anemia and inflammation. CHAMOMILE, Cinnamon, and Peppermint: Help with nausea and vomiting. BLACK COHOSH: Take for painful menstrual cramps. Proven helpful in easing depressive moods and alleviating hot flashes in menopausal women. CHASTE TREE BERRY: One of the most effective herbal remedies for PMS. It is a natural anti-inflammatory. Studies have shown that it effectively relieves breast tenderness and other pain. A study published in the British Medical Journal involving 178 women with PMS found that chaste tree berry significantly reduced PMS symptoms over three menstrual cycles. Women taking chaste tree had significant improvements in irritability, depression, headaches, and breast tenderness. CRAMP BARK: Is remarkably effective for relieving menstrual cramps by relaxing muscle tension and spasms in the uterus. VALERIAN: Works as an antispasmodic, relieving menstrual cramps by relaxing smooth muscles. It also helps allay emotional stress and nervousness. RED CLOVER: This herb contains minerals such as calcium, magnesium and phosphorus and is very rich in Vitamin C. Red clover has a direct effect on pms symptoms such as hot flushes and breast health. TRIBULUS TERRESTRIS: Another herbal remedies for pms that you may be interested to know is tribulus terrestris. It helps balance to the hormonal system. Regular intake of this herb will decrease insomnia, loss of sleep and mood swings. 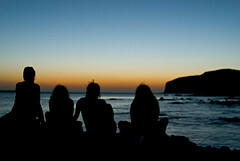 Female Comfort: A scientifically designed combination of herbs can be extremely helpful in reducing the symptoms of PMS. CLARY SAGE, GERANIUM & ROSEMARY: Use in bath to relieve water retention and irritability and depression. LAVENDER & CLARY SAGE: Use in a carrier oil for a light massage (whole body or abdomen) that will balance hormones and ease pms symptoms. EVENING PRIMROSE OIL: Over the years, EPO has earned a reputation as being an effective treatment for the relief of PMS symptoms. Vitamin C, Vitamin E, and VITAMIN B6: Very effective pms vitamins. Increase intake the week before menstruation. Finding the form of vitamin supplement that will work the best for you is critical. Magnesium: Magnesium supplements were found to significantly improve PMS mood changes. CALCIUM: Studies suggest that calcium levels are lower in women with PMS and that calcium supplementation may reduce the severity of symptoms. ANTIOXIDANTS: Increase fresh fruits and vegetables to vastly improve PMS symptoms. 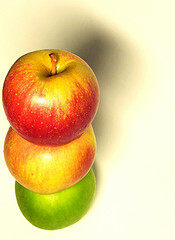 APPLES: Eat plenty of fresh crunchy apples in the week prior to menstruation to prevent swelling. CELERY: A good diuretic and acts on the kidneys to encourage their action. GRAPES: Eat to prevent bloating. BARLEY WATER: Drink freely throughout your menstrual cycle to ease symptoms. It is rich in B vitamins. OATS: Eat plenty to ease irritability and other emotional symptoms. CUT BACK: Salt, caffeine, sugar and alcohol. They will increase symptoms of PMS. No matter what signs of PMS you may be experiencing, trying some of these natural remedies for PMS provide the help you are looking for. Many women are finding relief from PMS symptoms with a product called Femalite from native remedies. Visit the Native Remedies website to learn more about this and other herbal remedies for PMS that you may find helpful.